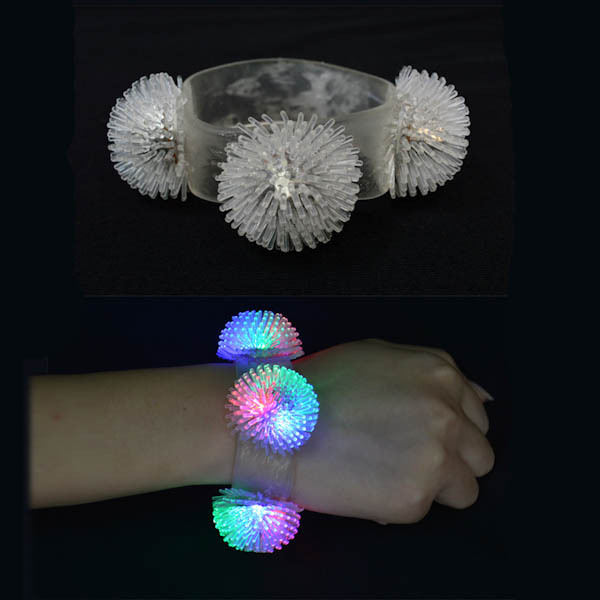 Soft small stretchable spikes like sea urchin or porcupine braclets are here! 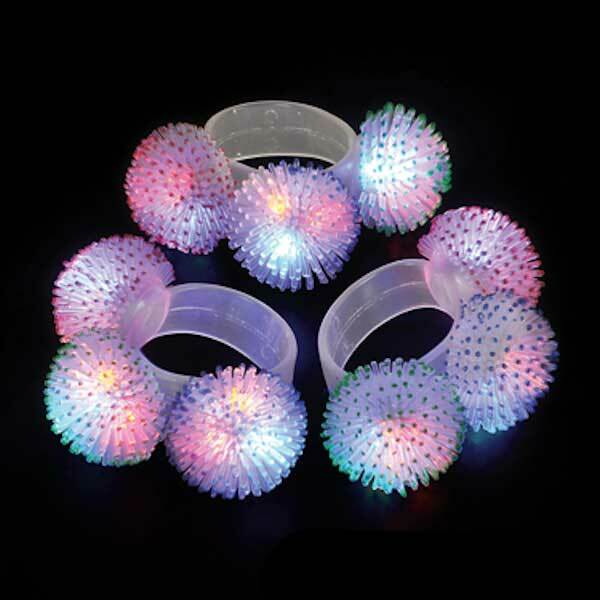 These multi-color Flashing LED Urchin/Porcupine Bracelets have 3 individual pom-pom head and are extremely bright. 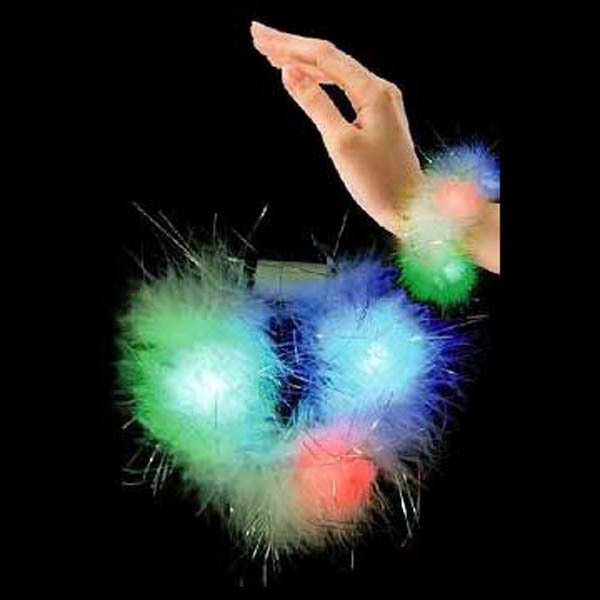 Each pom-pom is about 1" in diameter and are addicting to play with. 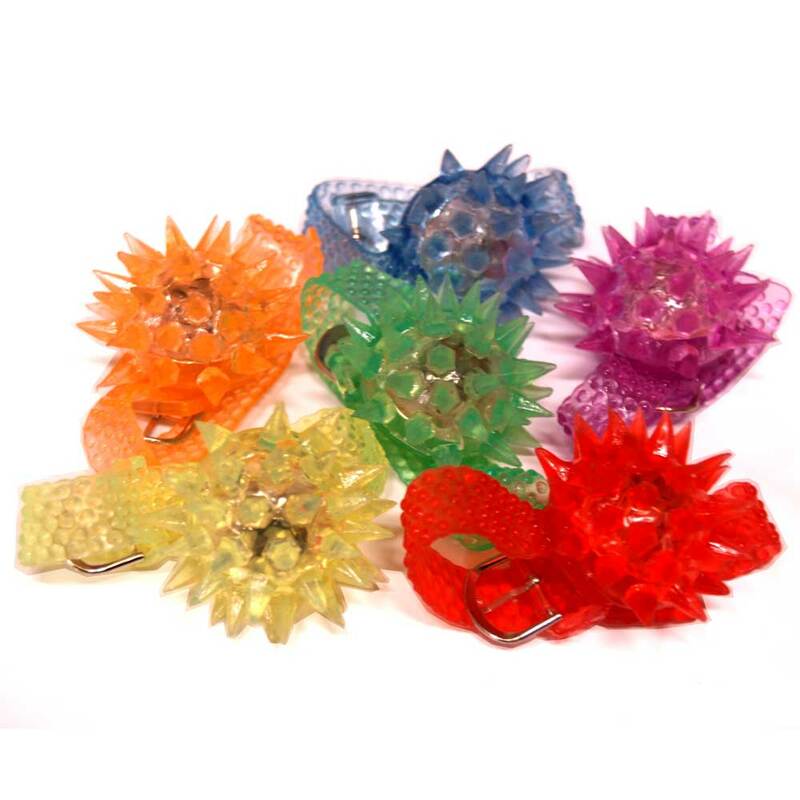 Squeez it, stretch it, pull on the spikes, they can be a great destressing item on your work desk. 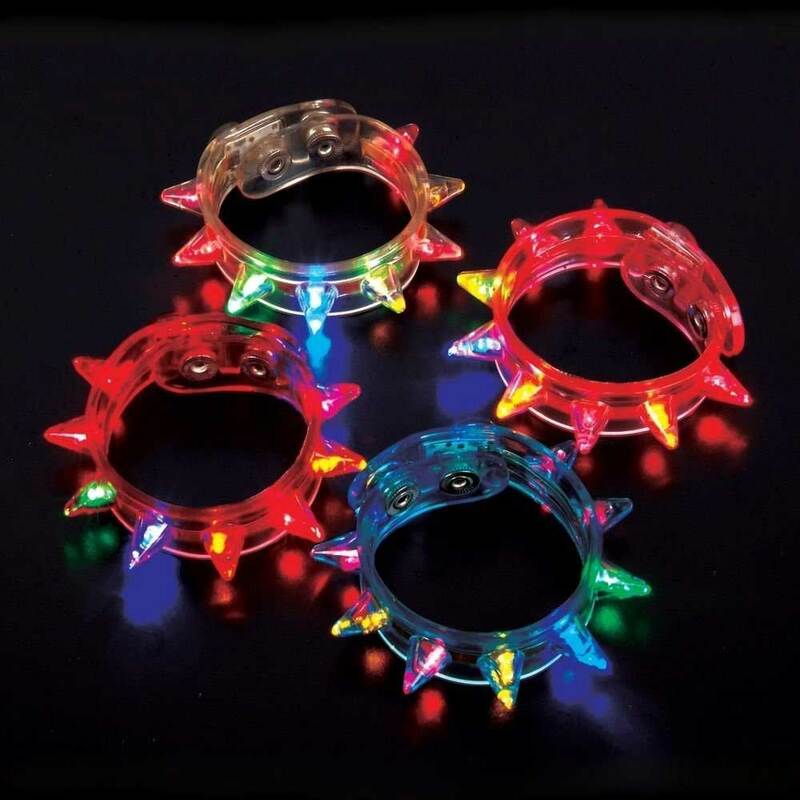 The bracelets come with 3 Red, 3 Green, and 3 Blue flashing LEDs. Squeeze to turn on, squeeze again to turn off. 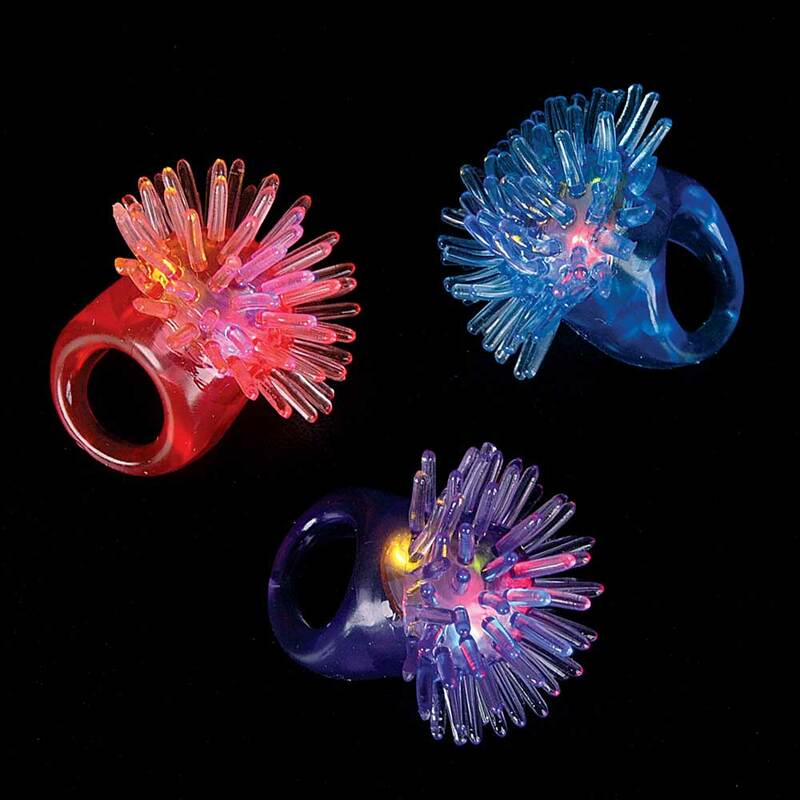 Made of a soft silicone based rubber - delicious to the touch and fun to play with. Super bright color LEDs flash in rhythm. 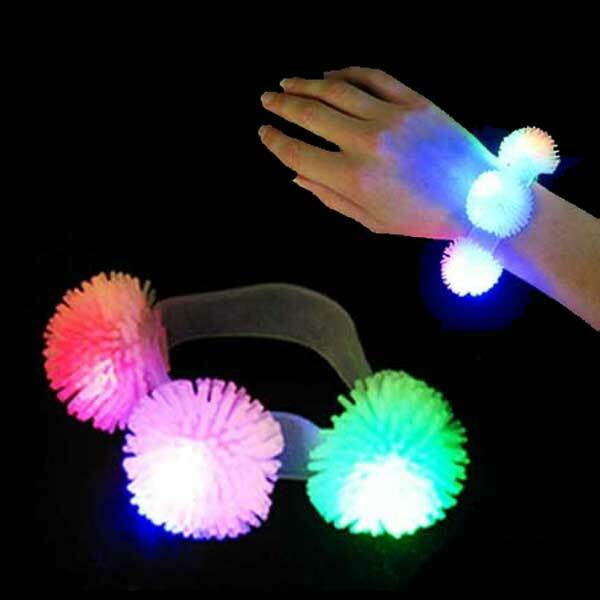 Extremely bright, will make a star out of you at any event. Stretches to easily go around your wrist! Comes with non replaceable batteries installed.